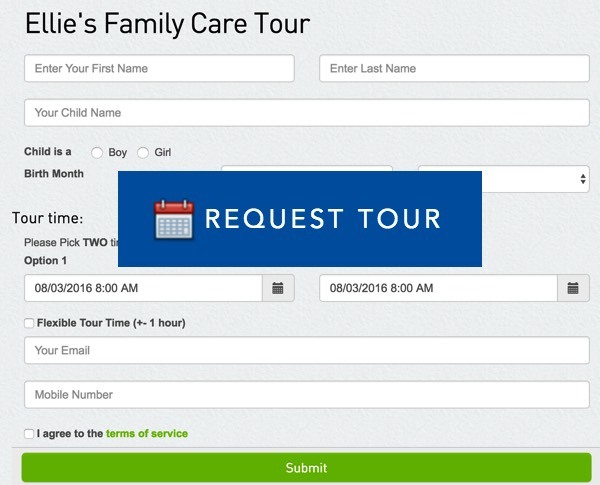 A click on the Tour Request button launch a KidWith.Us Online Tour Request Form like this one. You will be notified by email/texting when Parents filled out this form. You will be able to discuss tour details with parents directly throughout this process. Place the Request Tour Button near top of your homepage. Your Care Facility ID is usually your facility license number. Look it up here.